Evangelist Gospel Quartet NB Real Photo - Entertainers - Real Photo - Vintage Postcards | VintagePostcards.com: vintage, old, antique postcards for collectors. 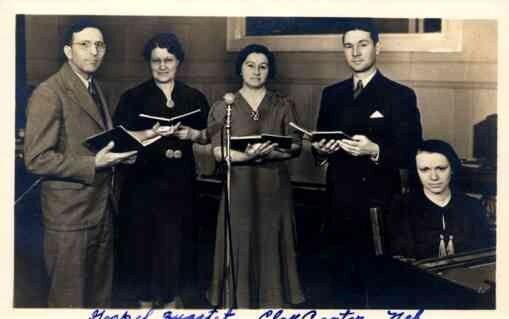 Notation on front "Gospel Quartet, Clay Center, Nebraska." Music, piano, microphone.